Late bloomer. 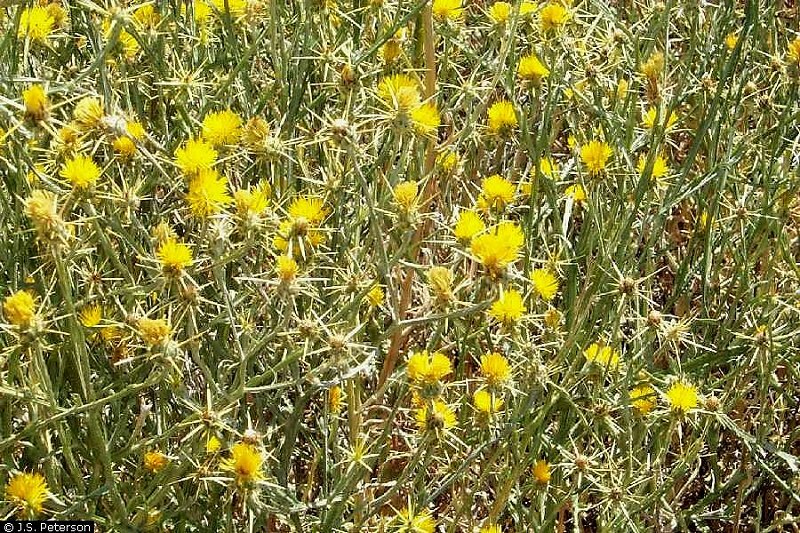 Yellow spiny flowers, highly invasive alien weed! Can kill animals, eradication difficult. Notes: Aster (Sunflower) family. From Asia. Best controlled by pulling up plant before they go to seed, as one plant can eventually have 80,000 seeds.